What are some inherent problems with producing Construction Drawings? Some details are not build-able. How can we make the construction process better? Make better CDs (drawings and specifications) upfront instead of waiting for a problem in the field to solve later. Make drawings sufficient. Do not keep adding drawings, but coordinate the ones you have – in other words know when to say when. The drawings will never be as complete as you would like, but do not compromise the coordination of the drawings. As time goes on the cost of a mistake rises (exponentially). It is important to avoid mistakes early on preferable before bid or construction phase. Quality Control (QC) is too late at the end of CD phase or Construction phase. What are some goals during the Construction Document phase? Productivity (design with standards for efficiency when ever possible). Thorough, user friendly (for the code officials, general contractor, and subcontractors). Consistency (look and feel of drawings). How can Architect, Engineer, or Designer manage information more efficiently? Show dimensions, quantities on a single drawing to avoid conflicts. Do not repeat similar notes. Put all of typical notes on one detail and refer other details back to typical detail. Follow principle of single statement – reduction of redundancy. Be frugal: use time and resources wisely. Avoid using similar scales (i.e., 1/8” and 1/16” OR 1/4” and 1/2”) whenever possible because information will be similar. Jump up or down at least 2 scales to avoid redundancy. How are words and #’s perceived? Reference with words rather than #’s. Keep key notes straightforward and simple. Wall section should be a “road map” like a plan where vertical dimensions and details are referenced. Avoid referencing typical conditions where possible. Think of CDs as a story board (i.e., “defrag” your working drawings like you “defrag” you computer). Begin with the end in mind! Include a schedule and instruction system at the front of the set to make it easier for the contractor to reference. Do not split up details that are related (i.e., keep plan, details, section details together not on ‘standard” sheets 20 drawings away from referenced drawing; keep references close, preferably on the same/next sheet when possible). This will make the subcontractor’s work easier and the construction process more efficient. Save time by creating schedules for sealants and miscellaneous metals so you do not have to include them in every detail. Coordinate, cross-reference, and remove redundancies from construction drawings and specifications. How can an Architect, Engineer, or Designer save time on Typical Details? Create a default: Select the most common type of door and state that is the typical door unless otherwise noted. Try to minimize the documentation of exceptions by creating different typical conditions. This way you only have to document the exceptions or atypical situations and avoid redundancy. Try to figure out what is different that the default and illustrate those conditions. Customer Satisfaction: Our highest priority is to satisfy the customer through early and continuous delivery of valuable design solutions.Embrace Changes: Welcome changing requirements, even late in development. Agile processes harness change for the customer’s competitive advantage. 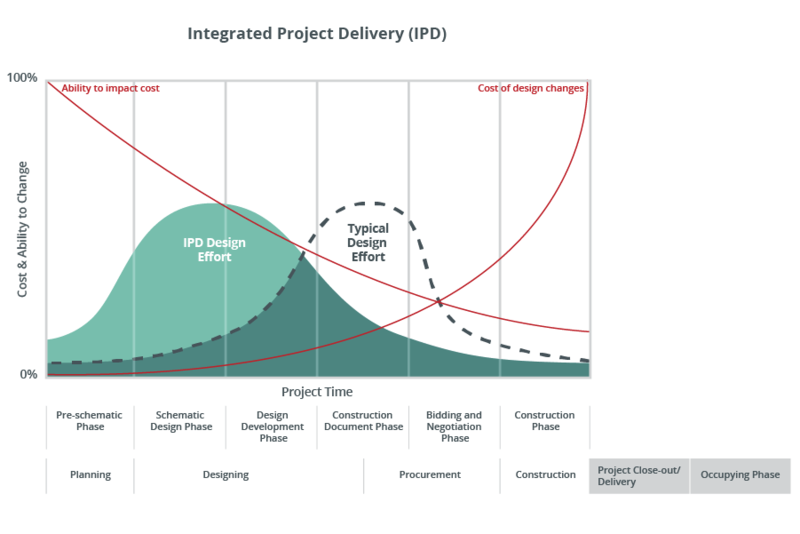 Embrace the Process: Deliver working design solutions frequently, from a couple of weeks to a couple of months, with a preference to the shorter timescale. Embrace Teamwork: The design team must work together daily throughout the project. Support Enthusiasm: Design projects around motivated individuals. Give them the environment and support they need and trust them to get the job done. Face-to-Face is First: The most efficient and effective method of conveying information to and within a design team is face-to-face conversation. How Do We Measure Progress: Effective, efficient and elegant design solutions are the primary measure of progress. Less Is More: Simplicity — the art of maximizing leaving stuff out — is essential. Agile processes promote sustainable development. Allow for Flexibility: The best design solutions emerge from self-organizing design teams. Execute, Monitor, Adjust: At regular intervals, the design team reflects on how to become more effective, then tunes and adjusts its behavior accordingly. God Is In The Details: Continuous attention to technical excellence and good design enhances agility. Greetings and hope you are staying cool this summer! Here are some of our favorite responses from Bill and Frank to fans’ questions over the years. A digital twin refers to the digital representation of a real-world entity or system. Digital twins in the context of IoT projects is particularly promising over the next three to five years and is leading the interest in digital twins today. Well-designed digital twins of assets have the potential to significantly improve enterprise decision making. These digital twins are linked to their real-world counterparts and are used to understand the state of the thing or system, respond to changes, improve operations and add value. Organizations will implement digital twins simply at first, then evolve them over time, improving their ability to collect and visualize the right data, apply the right analytics and rules, and respond effectively to business objectives. A digital twin is essentially a link between a real world object and its digital representation that is continuously using data from the sensors. All data comes from sensors located on a physical object; this data is used to establish the representation of a virtual object. For construction, using digital twins means always having access to as-built and as-designed models, which are constantly synced in real-time. This allows companies to continuously monitor progress against the schedule laid out in a 4D BIM model. Potential uses for VR and AR in architectural design are not science fiction fantasy. New VR devices allow designers and clients inside conceptual designs. We simply load a VR device with a three-dimensional rendering of a space, and let the user experience it virtually. These VR experiences are far more effective than two-dimensional renderings at expressing the look and feel of a design. VR allows our clients to make better-educated assessments of the total sensory experience and the small details of our design. VR is helping us bridge the divide between our ideas and our clients’ perception of them, letting us effectively simulate our designs before a single nail is driven, part is molded or footing is poured. Our existing modeling programs let us render views in VR devices that are single point-of-view. The user gets to look around from that point and immerse themselves in 360-degree views. Needless to say, the ability to experience spaces before they’re paid for and built increases clients’ peace of mind about their investments. Virtual Holidays using VR and have seen a rise in sales to one of their key destinations. With a growing interest in green and sustainable home design, there have been a lot of changes in the way people design their homes. A green, sustainable home is made using different design elements and materials, which help to create a more energy-efficient home that minimizes the homeowner’s negative impact on the environment as much as possible. From the various sustainable design elements to the materials that help make it happen, there are countless ways for homeowners to create a green, sustainable design that is beautiful. Here is a list of some of the most popular sustainable elements and materials for homeowners to keep in mind when building or renovating their home. One of the major points of sustainable home design is concerned with temperature control. Everyone wants a home that stays cool during the warmer months and warm during the colder ones. Although the common method people turn to is air conditioning and heating, neither of these is very energy-efficient nor environmentally friendly. Instead, people are now turning to tried-and-tested sustainable alternatives to cooling and heating. ICF (Insulated Concrete Forms) homes are one popular sustainable design element that homeowners are turning to for their homes. These ICF homes are made using an insulated concrete form, which fit together like puzzle pieces to form the shell of a new house, which is insulated inside and out. Due to the way the forms are put together—and are supported with extra concrete and rebar—there are very few cracks, which helps minimize the potential for air leaks, therefore increasing the effectiveness of the insulation overall. All of this combined means that homeowners who choose ICF homes will be able to save a lot of money on cooling and heating costs, and will not be releasing so many harmful greenhouse gases into the environment. Additionally, temperature control can see improvement through the sort of siding that homeowners select for their home. While traditional vinyl siding is most common, it is not the best option on the market in terms of protecting your home and helping with insulation needs. Other options, like fiber cement siding and steel log siding not only offer more durability, but they also will work better at helping to insulate a home. Due to the materials and how they are put in place, homeowners can rest assured that there will be very few air leaks, especially when combined with a well-insulated home. Another common element found in sustainable home design includes weatherproofing the home. Weatherproofing helps to ensure further that there are no air leaks in the home, regardless of how well insulated it may be. Furthermore, as the term implies, weatherproofing helps to ensure that the home’s structure is well-protected from potential harm that can from the elements. All-in-all, weatherproofing will help ensure a home can hold up against different types of weather and help save the homeowner energy, money, and resources by covering up any air leaks that may still be present even with insulation. The best way to weatherproof a home is to invest in and install a high-quality house wrap. House wrap is the layer of material that separates a home’s siding from its overall structure. It uses a perforated polyolefin membrane material, which is wrapped tightly around the entire structure and secured with capped fasteners. Because of the material, house wrap is extremely strong and durable, which helps to ensure it will stay in place and last for a long time. Additionally, a good house wrap will prevent any air infiltration and easily allow moisture to escape, rather than staying trapped and creating a perfect breeding ground for mold and mildew. A third major element of sustainable home design is a good, durable exterior siding. Although vinyl siding is the most known type of exterior home siding, it is not necessarily the most sustainable option available. Similarly, siding options like traditional log siding are also not sustainable nor eco-friendly. Instead, homeowners looking for better, greener siding options that can further increase their home’s sustainability. One of the most popular sustainable siding options around includes fiber cement siding. Fiber cement siding is a kind of siding resembles the classic wood or vinyl siding, but is made of a much more durable mix of wood pulp and cement. This makes it an option that can stay looking new for years, without warping, fading, or any damage from weather and insects. Because of this durability, homeowners do not have to worry about having to replace pieces over time due to damage, which allows them to save money over time. Additionally, fiber cement siding is a low maintenance option that will add yet another layer of protection to any home, on top of things like house wrap and ICF homes. Creating a green, sustainable home is not difficult, but it does take a certain level of dedication. Besides choosing the right energy-efficient appliances, homeowners need to ensure that the home’s overall structure is made using sustainable elements and products. From being aware of temperature control and weatherproofing to finding the perfect exterior siding, there are countless ways to start making a sustainable home. Even if some of these elements go visually unseen, the differences will be seen and felt in the comfort level of the home and the utility bills.